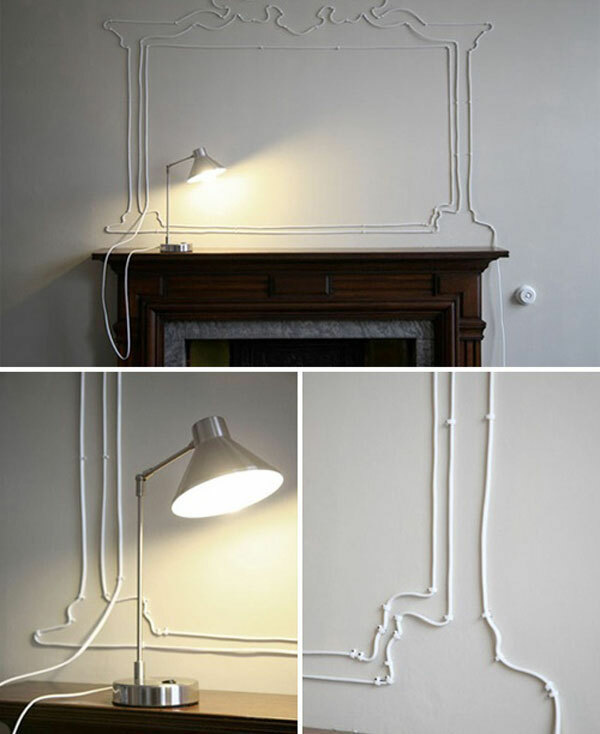 Creative ideas to make wires more aesthetically pleasing. Unless you’re “Amish in the city” you probably have lots of devices with ugly wires that you want to hide. Sometimes you simply can’t hide them, but you can disguise them by turning them into art! Check out this gallery of ideas from Woohome & Home Tree Atlas. Turn unsightly wires into art!